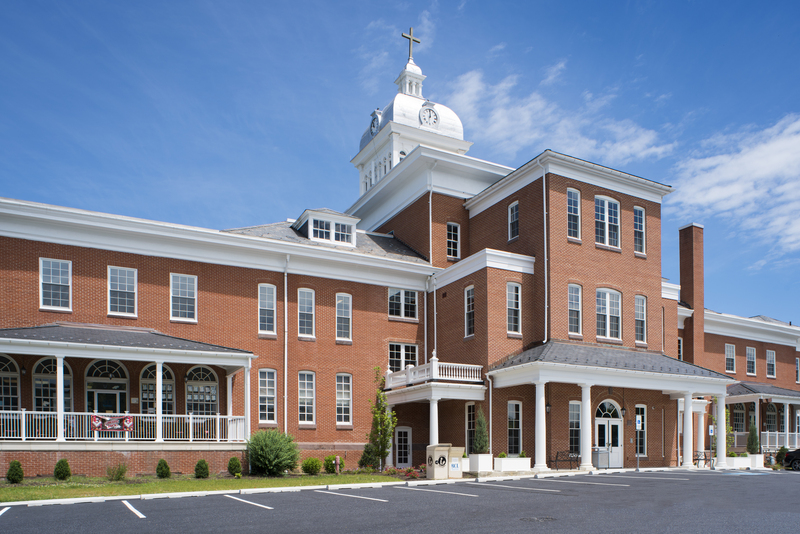 This addition and renovation of the 52,500 sf “Old Main” building at the Lutheran Home at Topton transformed this building, individually listed on the National Register of Historic Places for a new era. 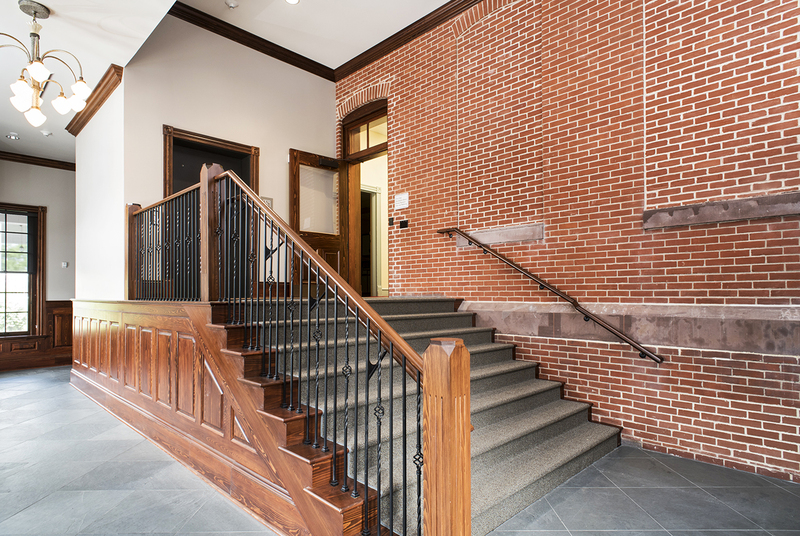 The completely renovated second floor now houses Diakon’s executive offices and the Helen Palmer Center for Permanency. The Center for Permanency is the home for Diakon’s adoption and foster child support services and is fittingly located in this 1899 Classical Revival former orphanage. Histories of the orphanage describe how in 1897, the superintendent of the home broke ground on the site of future orphanage by offering prayer and hand dug the sign of the cross in the earth on this site. 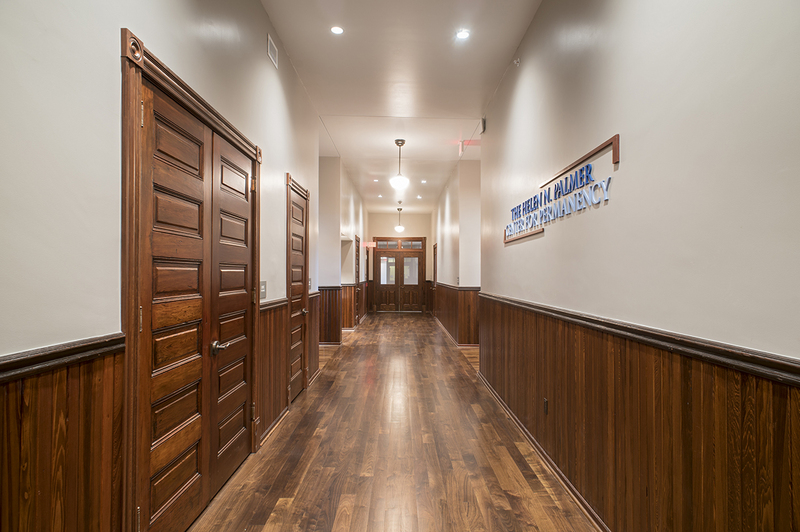 Respecting this history, our project retained and restored the original cross-shaped corridor on the second floor by restoring the existing doors, mill work and plaster. This original space greets visitors to the second floor, and provides homage to the children who spent a portion of their lives in Old Main. The south facing addition preserves the historic north façade, while providing an appropriate entry to the functional side of the building. Here, a grand lobby, fully accessible elevator and secure entry lead to the executive offices and adoption services.